Sherrie is an Arizona native, born in Winslow, AZ and moved to Prescott in 1963. She attended Washington School, Prescott Junior High and graduated from Prescott High School, class of 1973. 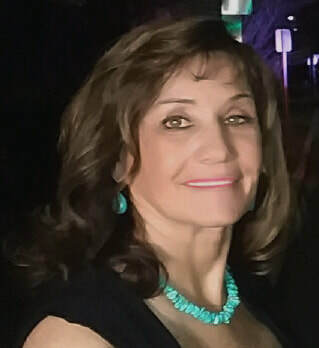 While attending Yavapai College, she worked part-time, clerking for Judge Paul G. Rosenblatt and Judge Robert Kuebler of the Yavapai County Superior Court. In 1976, she married John Hanna, Sr., then moved to Lubbock, TX where her husband attended Lubbock Christian University. She was employed at Texas Tech University as assistant to the University Center Director. As both of their families still resided in Prescott, they decided to move home to raise their family. She worked for the law firm of Walraven, Lange and Mabery before being hired at the Prescott Post Office, where she worked for thirty years, retiring in 2015. While working, and after her retirement, she has always been very involved with her three children's (and now seven grandchildren’s) lives and activities. Starting out as a banquet volunteer for the Prescott Western Heritage Foundation, it was always her desire to serve on the Board of Directors to increase her involvement with ensuring that our western heritage is never forgotten or neglected, keeping Prescott and Yavapai County at the forefront of identifying with our western values. 1.) Downwinder’s advocate, working directly with the U.S Senatorial and Congressional Offices to gain support for Federal Bills related to amendments to the Federal Radiation Exposure Act. 3.) Chair of the John Hanna, Sr. Guns and Hoses Memorial Golf Tournament which raises thousands of dollars to benefit the Prescott Police Explorer Program and the Prescott Firefighter Charities. 4.) Founder and oversees the John Hanna, Sr. Memorial Scholarship which donates a significant scholarship to a graduate of Prescott High School attending Yavapai College majoring in Criminal Justice or Fire Science. Yavapai Cowbelles, Prescott Frontier Days Rodeo, Prescott Chamber of Commerce, Prescott Kiwanis, Associate member of the Arizona Cattle Growers Association, and she was the 2016 Prescott Area Leadership Women of the Year finalist.